January is the last month of my twenties so I thought we'd get it started right with a giveaway! I have a $25 dollar gift certificate available to Pink Chalk Fabrics to giveaway today. To enter, just let me know what you would buy with the gift certificate. I think I would use it to stock up on Pearl Bracelet prints, I go through these so fast. This sounds boring, but I'd use it to stock up on some white/ light neutral fabric. 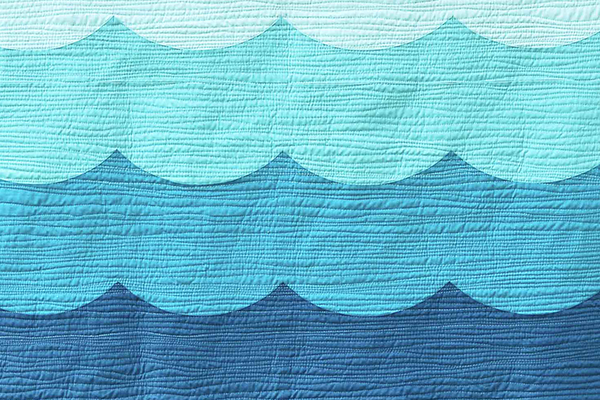 I have in mind to use it with Denyse Schmidt's Shelburne Falls in a quilt for my mom. Oh my goodness I think I would get some Allison Glass prints - yum and yum!!! Great giveaway - Happy New Year!! I really need solids and blenders to tie together my stash of prints - that's how I'd use the gift certificate! I'm looking to collect some more Bungalow to make a double wedding ring quilt. I have very little low volume type fabric and I've been dying to try a quilt with it so I'd stash up on various prints for that. I would stock up on some kid prints for the Salvation Army Christmas angel quilts I make every year. I'd go for some purple and yellows for a baby quilt I have in my head. Thanks for the chance! I would get some solids because they are desperately needed in my stash! Something by Anna Marie Horner. Or a nice neutral solid for a quilt back. Black and white prints. I go through these really quickly. Thanks for the chance to win and happy almost birthday! I would like to add some solids to my stash...the first half of 2014 is to be "purchase free" for fabric, but that doesn't include giveaways! Happy birthday, young friend! ;) I would definitely get me some Dowry. Wishing you a Happy Birthday!! I have my eye and heart set on some Liberty of London!!! Thanks for the chance! I would get one of the color stacks, maybe the orange or teal one. Happy almost Birthday! I am on a fabric diet so trying to not think about what I can't buy! I know there is so much I could buy if given the chance! Thanks! I think I would buy some neutrals to fill in to make some scrap squares. I have been doing alot at 21/2 inches lately. Wishing you a very Happy Birthday! Looking back, I think my 30's were pretty spectacular! If I win (fingers crossed) I need a couple of backs for some tops I am working on. I would start there! I need solids in my stash. Thanks. I would use it toward some Jaybird products--the candy dish pattern and a new ruler or two! I'd like to get some Florence yardage since it's on sale! I need solids to coordinate with my Simply Color charm pack. I am itching to get going on a fun quilt with them! What is it about Pearl Bracelets?? I can't get them out of my head either! Happy Birthday...I think I remember 30! I would stock up on Botanics. Thanks for the chance to win! Happy Birthday in advance. I remember30. Barely. I think I'm with you on the Pearl Bracelets. The more I use them the more I want more of them. Sweet!! Happy Birthday you young girl! I would most likely get the Allison Glass Corsage bundle. Thanks for the giveaway! Happy soon to be birthday to you! Don't sweat turning 30. The worst part is waiting for your birthday to come and then it will be over and you'll wonder what the big deal was. I have loved my thirties! I'm so much happier and settled than I was in my twenties! I digress, I would use a $25 gift certificate to buy more Dowry prints. I love AMH, but this line really speaks to me. Although I do love those Pearl Bracelets. I agree I would get some pearl bracelet fabric!!!! I think I would get more Botanics. It's tough because they have a lot of great stuff, but I can't get enough of that line! Thanks for the giveaway! I've been lusting after up up & away. Happy birthday! I really like the fat quarter set of the black and white fabric. I really want to make a black and white quilt this year so this would be a great start of a pretty collection. Thanks for the great giveaway. I love the Heather Moore prints from cloud9. I live the pearl bracelets too. I could go for some Alison Glass blenders. Happy Birthday!! I'd get some solids. My stash is really sad when it comes to solids. I would love the new lizzy house capnap....but in reality I need modern blenders. I need some solids in my stash, maybe! "Happy Birthday" a little ahead of time!!!! I think I'd get some solids+pearl bracelets!Thanks for sharing! I would love to add Allison Glass' "Sun Print Party Streamers" fat quarters to my collection. I'm envious of you entering a much younger decade than I will be entering this month. 60????? I can't wrap my mind around that number! And I have no idea how it happened so quickly! So, enjoy your 30's ~ strong, powerful, and YOUNG! Happy Birthday! Love the color stacks! I'd try to pick one of those (so hard to choose since they are all soo pretty!) or a Florence FQ bundle. Great prices too! I agree that more pearl bracelet is in order, as well as some Carolyn Friedlander. :) Thanks for the chance to enter. I would have to get the Anna Maria Horner Dowry Rubies & Pearls FQs. So gorgeous. Thanks!! Definitely some Dowry - - probably Anna Maria Horner Dowry Twill Bouquet Navy. I would like to get some Essex Linen. Thanks for the chance to win! Great giveaway Erica, thanks for the opportunity! I would definitely have a hard time choosing between Essex linen or sun prints. 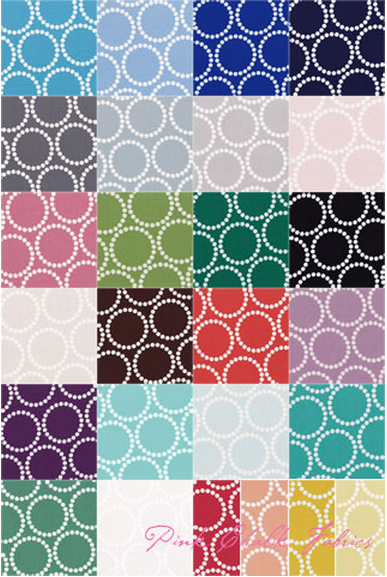 I would love to try the Kona Cotton Roll Ups New Dusty Palette for a jelly roll race quilt. What a great giveaway! I am in dire need of some grey low volume for my stash so I would buy several different pieces along that line. I am desperate for some more blender types in my stash. As much as I have been eyeing off the pearl bracelets for what seems like forever now - I am quite taken by the Carolyn Friedlander Architextures Hatch range!!!!! Don't worry about turning 30 - I found it such a magical age - you seem to have left behind those silly years and become more mature in the eyes of society. Personally I find it (only just turned 36 myself) great as I am young enough to be silly with my kids but wise enough to responsible. You and I share the same birth date, other than the year, I have 20 years on you...lol, it is all good tho. 30's are wonderful years, so embrace them and enjoy every minute. I would love to have some Bluebird Park from Kate & Birdie, such sweet fabrics. Thanks for the giveaway! I'll be 41 next week, so don't I feel old now. :) Pearl bracelets sound like a lovely choice, too, but I might get some marked-down Florence and a Single Girl pattern. It's been calling my name. Thank you and Happy Early Birthday! I need to restock my gray fabrics and they have great basics. I don't really know what I'd get! I'm fairly new to quilting so I don't have a stash built up yet. So maybe some stash building fabric. Thanks for the opportunity and Happy Birthday early! I find that I am needing a new embroidery hoop and needles. Also would like to experiment with some linen for embroidery. I can find ways to spend the GC for sure. Thanks for a chance to win. Awesome giveaway! I'd love to get some Kona Solids, a FQ bundle. 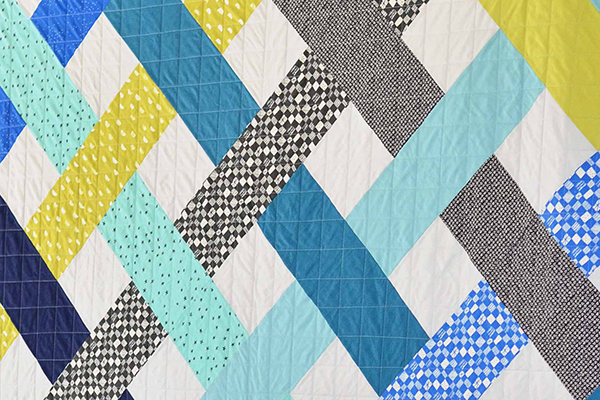 Would love a solids quilt. Happy Birthday! I would stock up on some AMH and/or Botanics. 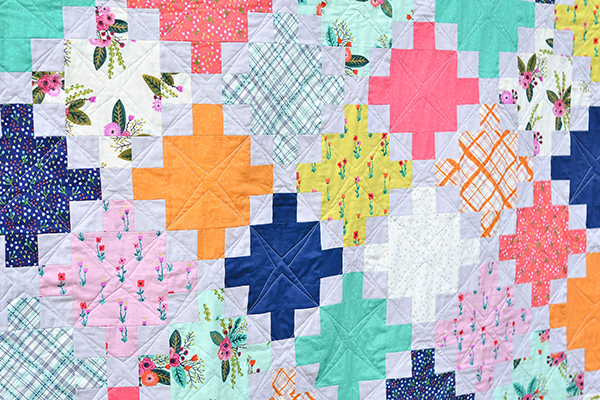 Definitely shot cotton....I am so in love with your improve quilt....I can hardly stand it. I want one.....Any chance you can list the colors you used....and a hint as to how you made it. Seriously, I have to make one. Oooo, Pink Chalk is my favourite!!! I would buy more of Pat Bravo's Carnaby, as I am dying to make a Washi dress! I would buy a roll of Kona Snow! I'd probably snag some Kona solids. I've been working on building up the solids in my stash. I think I'd pick up some solids. Thanks for the giveaway! I have very few light prints left in my stash, so the color stack - biscuits FQ pack would be perfect. Thanks for the chance to win. I would definitely use it to pick up some Botanics prints. Love that line! Happy early birthday! I haven't seen the Pearl Bracelets fabric before and would like to get some of that line to add to my stash. As a fabric lover, I want it all. HOwever, I would love Erin McMorris Astrid Tulli Steel to use as a backing - it's so dynamic! I could use some more Allison Glass fabrics. It won't be a problem to find something that I like! Happy Birthday! I need some solids for sashing. Thanks! It is hard to choose, I think some bright solids. I have some busier fabrics, but need some solids to balance them out! I need some 'solids' to go with the Tim Holtz Eclectic Elements fabric I purchased and think the Moda Grunge by Basic Grey would work. Thanks for the sweet giveaway! Pearl bracelets is a great place to start. I need solids and neutrals, badly, to go with so many fat quarters. I really need some solids and some stash fabrics. happy new year, and thank you for the giveaway. I would love some scrumptious! Thanks for the chance to win! I would use the gift certificate to purchase a variety of solids. I'd probably get one of the Dowry fat quarter bundles. Any fabric would be wonderful. 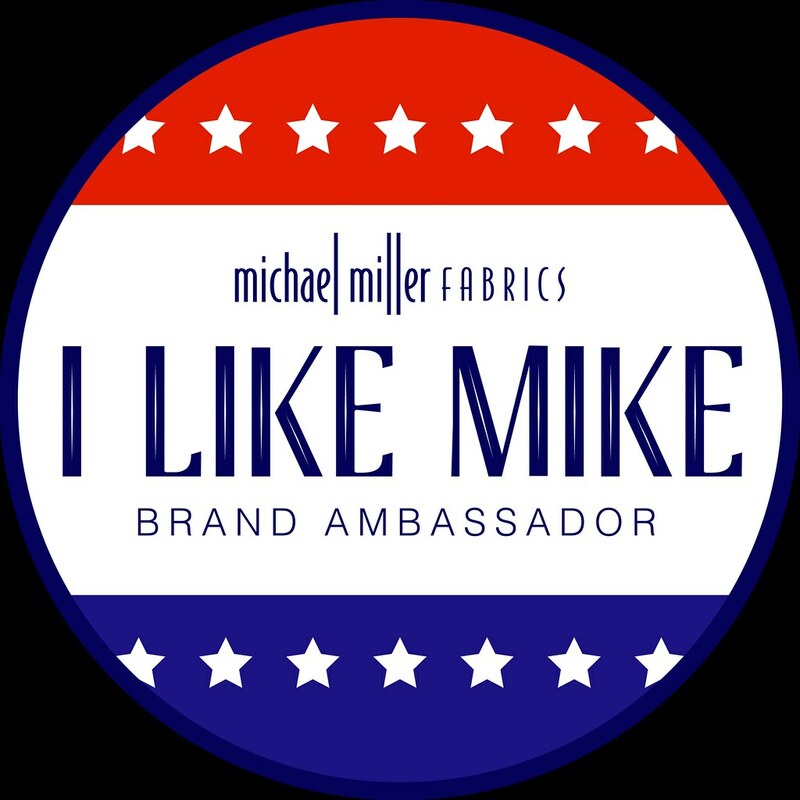 I would love to stock up on some low volume fabric. Hope you have a great month! I'm buying up blenders like mad lately and I've been itching for Pearl Bracelets. Maybe with a half yard of Tula Pink's Hummingbird print from Acacia. I by so many prints that I really need some solid fabric maybe even some neutrals. I need solids .... but I WANT some AMH Dowry. Such a dilemma! I love Pink Chalk! I think I would by an Alison Glass bundle - I need some pretty blenders. Enjoy your last month of being in your 20's. And I promise, 30 isn't too bad! I need blenders...badly! I have so many focus prints, and so many novelties, but no blenders! Well, I have a list of favorites! On the top of the list are Dear Stella, Natalie Lymer and the Zen Chic Collections. I will be happy! I would stock up on Botanics! I think I would start with a Bonnie and Camille charm pack of Scrumptious and add some yardage selected from the charm pack. I would also love some pearl bracelet fabric...I've never had any of this fabric but have been eyeing it up! I think I'd get a color stack. Now just to decide which one... Thanks for the giveaway. I'd get as much of theJoel Dewberry wood grain true colors as I could! Happy early birthday! I would stock up on blenders and low volume prints. Have a good last month...don't worry the thirties aren't so bad it's the forties that are a beast. Happy Birthday!! You'll love your 30s, don't worry! It's my birthday month too- the last year in my 50s!! Ugh! But being a Gramma is great! Anyway, I would really love those Pearl Bracelets too or some solids or Botanics or... just about anything Pink Chalk sells!! Thanks for a chance to win! Don't worry, the 30's are great! But if it lights a fire for you to get some things done, then you go girl! I'd pick out some of Carolyn Friedlanders Architecture prints. Happy New Year and Happy Birthday! Fabric is always so tempting, but what I really need is some notions...snaps, zippers, and I would love a Hera Marker. Thanks for a chance to win! Oooh you are sweet! Giving us gifts to celebrate your birthday! Live up these last days and then be oh so glad that you are getting older and wiser! As for the fabric, I would pick Bungalow by Joel Dewberry. Thank you for the giveaway! I would stock up on solids. I am running low. I would choose Lily Ashbury's Chloe to make dresses for my little Chloe! My choice would be some Allison Glass Sun Print Party Streamer fabrics. Love geometrics. I would purchase some kona solids. I recently moved across country and had to leave my fabric stash behind so am in the process of rebuilding. I would choose something from the fabulous Mrs Horner! I would put my winning $$ towards a Bonnie & Camille Scrumptious LAYER CAKE! I love those colors together! Thanks for the chance to win! I would buy fabric by Bonnie & Camille...I love their lines! Dull as it may sound, I would put the certificate towards 6 yards of backing for my Museum Medallion quit, just finished hand piecing! Happy (nearly) Birthday! I would choose some of Carolyn Friedlander's Architextures & Botanics fabrics. Thanks for the lovely giveaway. QuiltCon Kona Cotton Solids fat quarters. Beautiful colors! Happy New Year! I'm in need of some low volume prints....thanks for offering! Hi Erica, Pearl Bracelets will do fine for me too. Happy birthday and enjoy your 30s, sounds twee but every decade is even better than the last. I'd love a FQ bundle of Florence, and it's on sale! Happy New Year! Happy Birthday later this month! The thirties are great. No one can really say you're just a kid anymore. : ). I'd purchase some Alison Glass or low volume prints. Thanks! I can think of so many great fabrics to use this on! It will have to be something print...trying to use some prints this year! I would stock up on Neutrals. Always seem to run out. I'd get some of those new Cori Dantini prints, I love painterly, sketchy fabrics. Yeah, I'm with ya on the Pear Bracelet fabrics. Hope I win. I'd buy some solids or low volume, bc I'm lacking those in my stash right now! I think I would buy some low volume prints. I have a good collection of more vibrant fabrics, but I could use something a little quieter. I'd add to my low-volume stash, which is minimal at present!! And have a Happy Birthday Month! Happy birthday month! I'd probably pick up some stash builders and blenders...can't ever have enough! I'd buy a couple yards of Alexander Henry Satchi Black & White! Any of the Joel Dewberry Bungalow prints. They're all fabulous! Congrats on your impending birthday! If I were to win the gift certificate, I would definitely get Carolyn Friedlander's Social Tote pattern. I'd also like to get some of the Pearl Bracelet prints. I see them everywhere, but I've never used them myself. I need stash in the worst way! I would stock my stash... grey, purple, yellow and white... I dont have ANY white fabric anymore! I'd like to get some very light Batik to use for a background. Definitely the Botanics line. I've been craving some of that. I think I'd stock up on solids. Really craving some bright, bold colors. Thanks for the chance. I would say anything of Allison Glass fabrics!! I'd get some lilac and pink fabric to make a quilt for my generous sister in law. She deserves a wubbie to love up and my funds are tight right now. I would love to get some Joel Dewberry Woodgrain! Happy birthday! I would love some fat quarters of the pearl bracelet prints. I think they would go with so many other prints I have. Happy birthday.! I'd buy fabric scraps for the scrap quilt you inspired me to make!!! Pink Chalk Fabrics is one of my favorite shops....I've had my eye on a Quick Curve ruler for awhile now. Basics. Most likely in orange, pink and green. My favorite colors and all under-represented in my tiny stash. Thanks. I'd buy some fabric to make a quilt for my daughter's new big girl bed. oh wow - thankyou. I would use it to buy some snaps and a snap setter as I can't get them where I live. 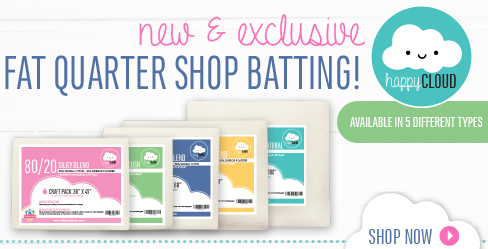 I'd love to get some of the new Ellen Luckett Baker collection -- linen is always great for bags! 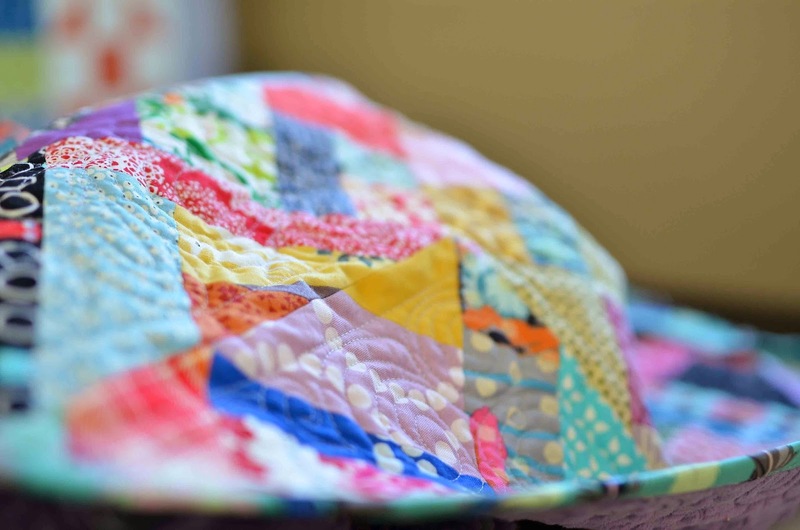 BTW, so excited to see you featured by Debbie on Sew Mama Sew! Well deserved!! Happy Early Birthday!! I would definitely stock up on Aurifil threads. Never can have too much. Thanks for the give-a-way!!! I would love some Allison Glass fabrics! I would try some designers fabrics that I do not yet have in my stash. Hi! I would love to get some Pearl Bracelets as well! I've been seeing them all over the net for a while now and haven't seen any here in the Middle East! I would use the giveaway for prints - I cannot seem to get enough of them. My favorite parts of quilting are selecting fabrics and binding - I love the in-between, but the start and finish are the most fun for me. Happy Birthday! I would have to look through and see what stricks me at the time if I win. I would probably purchase some of the Botanics line if I won the gift certificate! I would get a red or purple color stack! I would also get the bracelet prints! I would get the Botanics line. I would use it to buy fabric to make a quilt for my sister'a baby that's due in July! I help homeless veterans make their own comfort quilts. I would expect to pick solids to mix with the prints we already have. Thanks for hostessing this drawing. I would use it to get some low volume prints for the maple leaf quilt I am working on.